Every two weeks, we feature an audience question and have all four of our editorial team members provide their answer. Want to submit a question? Send an email to hi@charlotteagenda.com. #3 Hit the Rail Trail. The 3.5-mile urban trail runs along the Blue Line track from Uptown through South End. It’s a great place to run, cycle or walk your dog. #2 Pick strawberries and eat pizza at Wise Acres. 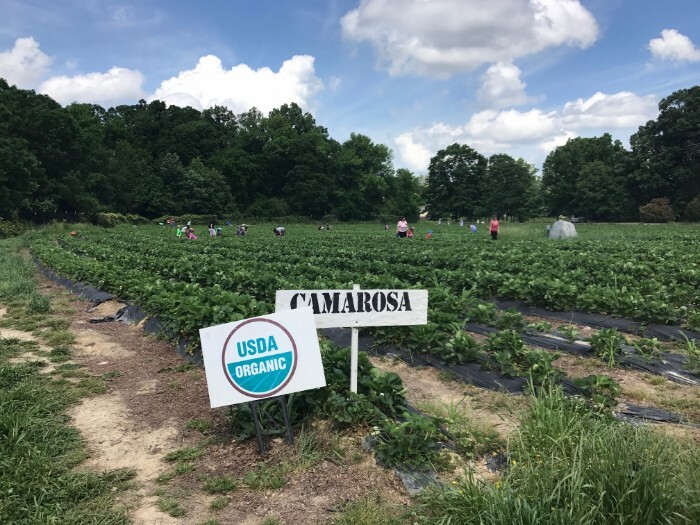 The organic U-pick farm kicks off its season on Saturday, April 14. The best part? They’ve got a rustic outdoor pizza kitchen right on the edge of the field where you can fuel up with a wood-fired pie after your harvest. Read more. #1 Head to the Whitewater Center. We’re all going to say it. It’s the outdoor thing to do in Charlotte. If you’re like me and aren’t so into the adventure thrills like rapids and zip lines, there’s still plenty to do. I like the hiking trails, flatwater kayaking on the Catwaba River and outdoor yoga series. #3 Go to a Knights game. There’s not a bad seat in the house, and their seasonal promotions kill it. In fact, the first Bark in the Ballpark happens Monday, April 16. #2 Catch an outdoor movie. Every Friday night starting in May, Craft hosts a free movie night during which the show is projected onto the frame painted on the building next door. Shows start at sundown, but get there early to grab a seat and one of their charcuterie boards. 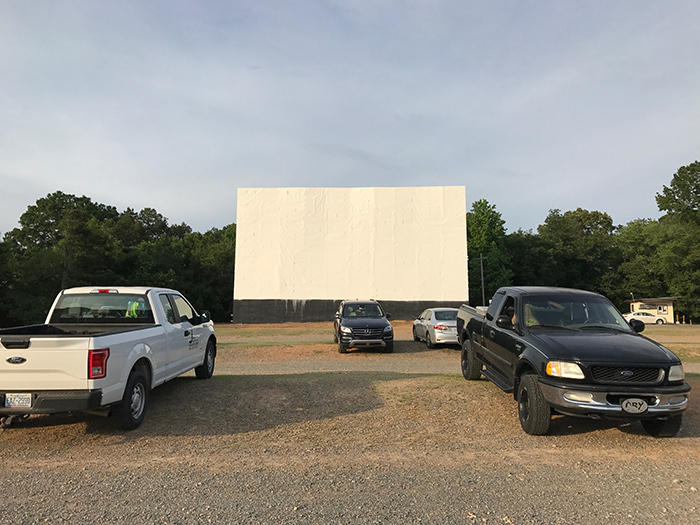 Or, throw it way back and drive down Highway 740 for about an hour until you find Badin Road Drive-In, an old-school drive-in theater where a double showing costs $7. Gates open at 6:30, shows start at dark. 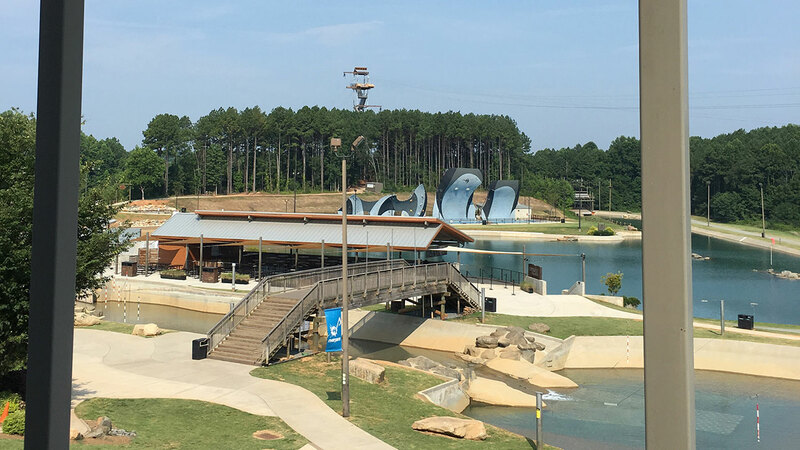 #1 Head to the U.S. National Whitewater Center. Admission is free (parking is $6), but you’ll want to spend the $59 for a day pass to do things like raft, zipline, SUP yoga and more. #3 Hit one of the 10+ spraygrounds with your kids. My favorite is First Ward Park. My toddlers other favorite outdoor activities are racing the 40 yard dash at the NFL Play 60 setup at Freedom Park and throwing rocks at people at OMB’s outdoor beer garden. #2 Explore the U.S. National Whitewater Center. It’s $6 to park, but it’s free to enter if you just want to walk around and chill. If you want to do the activities (rafting, ziplining, climing, ropes course, etc) a day pass will $59 or you can buy a season pass for $199. The’ve also got Tuck Fest coming up next weekend, a jammed packed event over four days, where they expect a total of 40,000 attendees. 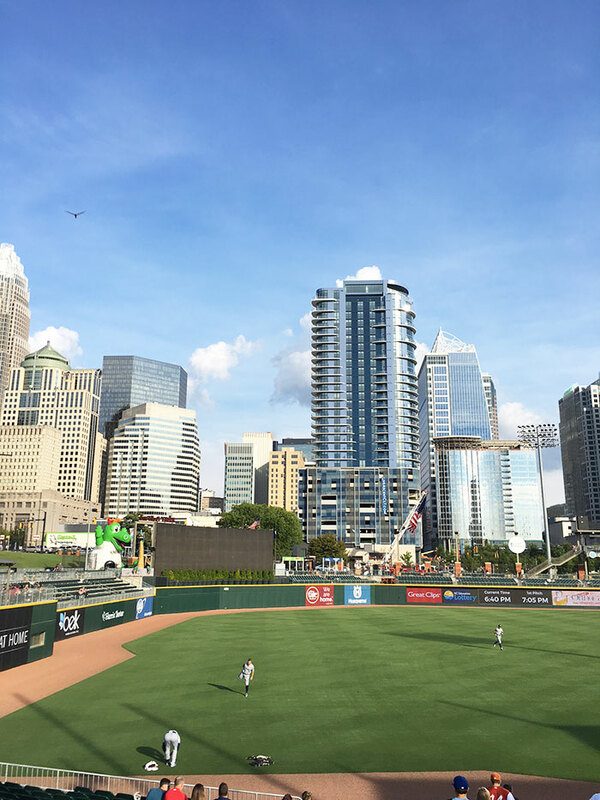 #1 Eat peanuts and watch a Knights baseball game at Uptown’s BB&T Ballpark. I went in with 10 buddies to split season tickets this year. Every seat is a good seat, they have $3 beer Thirsty Thursdays and a bunch of kid activities behind the outfield. Oh, and it’s Triple-A, so the players are legit. You can buy a ticket for as little as $8. If you’re looking for a fancy drink/dinner spot close to the stadium, I recommend rooftop bar Merchant & Trade and the new restaurant, Haymaker. #3 Picnic at Freedom Park. Charlotte’s signature green space has plenty of room to spread out a blanket and enjoy sandwiches and sweet tea. 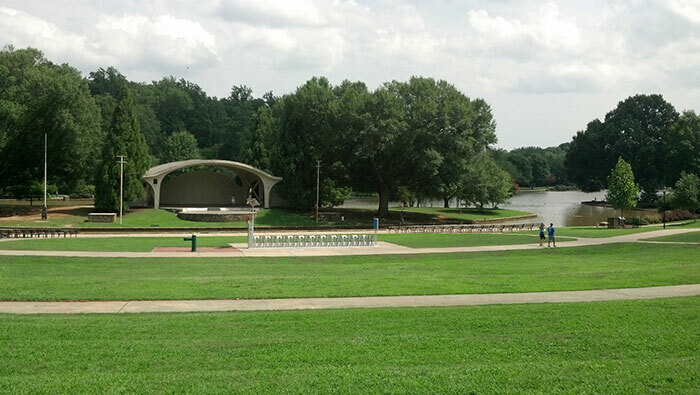 If you want more shade, you can try Park Road Park and its covered pavilion. #2 Plant a garden. Raised beds do really well in Charlotte, and there are plenty of great local resources to help you do this. Check out Renfrow Farms in Matthews (or take their SkillPop class) to get started. Or if you’re more DIY, go hang out at Growers Outlet in Pineville. #1 Walk the greenways. 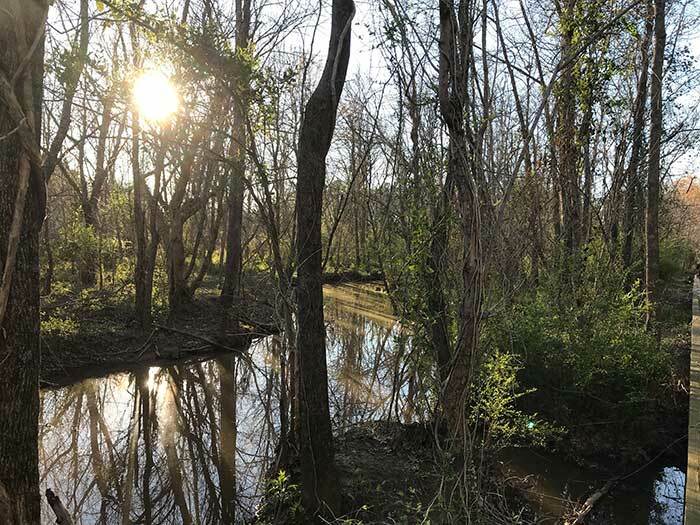 My personal favorite is the McAlpine Creek and Four Mile Creek greenway network down near Piper Glen and Pineville-Matthews Road. In places you’ll even feel like you’re out in the wild.